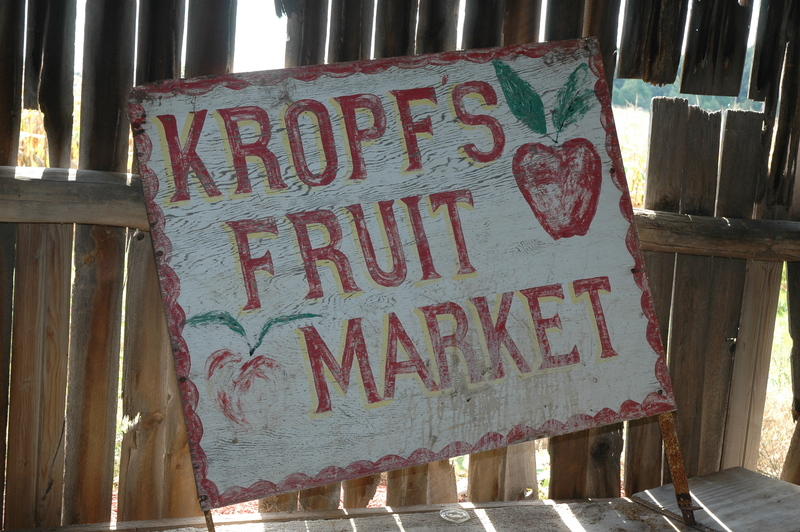 Christian Kropf was born June,1870 in Bern, Switzerland. 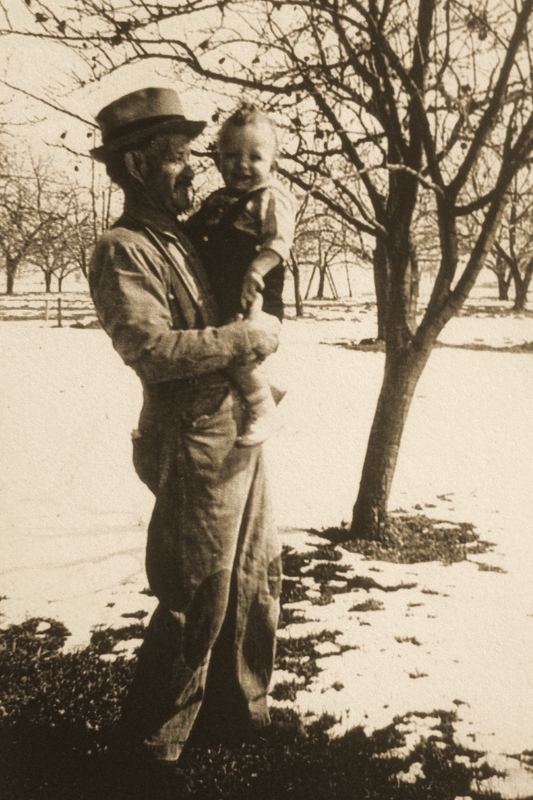 At 18 years of age he boarded a ship with his mother and siblings to realize the American Dream. They settled in Mosley, a little village north of what we now know as Lowell, MI. 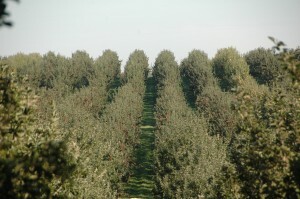 This is where he planted his first acres of orchards. 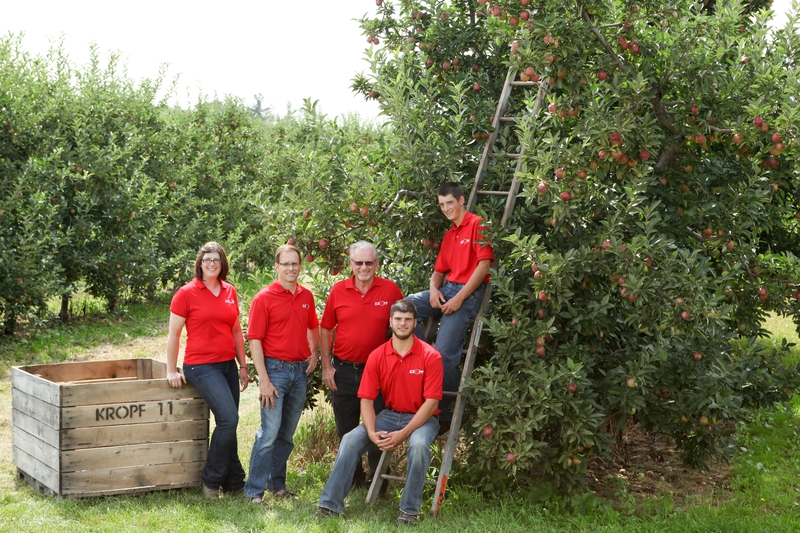 Four generations later, we are still realizing the American Dream, harvesting apples from the very land that Chris first planted! Spring 1938 – Christian Kropf in his orchards. 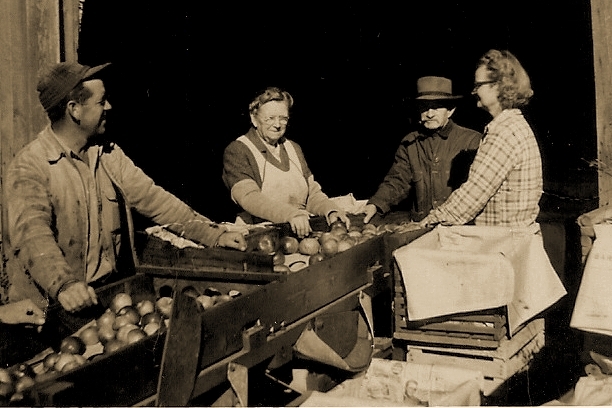 Fall, 1948 – Christian and his wife Jennie, packing apples into paper-lined crates with their son Carl and daughter-in-law Emma. 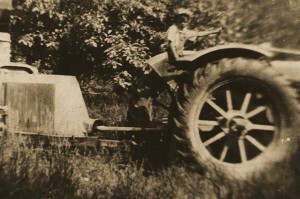 Early 1950’s – Roger Kropf, about age 10. June 1961 – At age 91, we lost the patriarch of our family and our business, Christian Kropf. 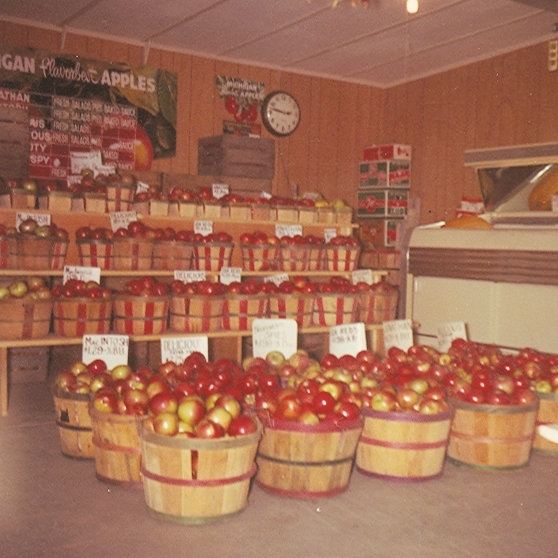 Fall 1969 – Kropf Fruit Market – The Kropf family ran the local market for about 11 years, closing in the early 80’s. 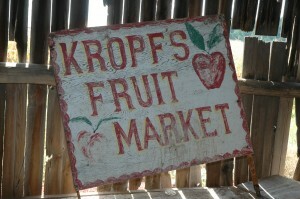 Treasured Find in 2006 – The original sign from the market. Fall 2011 – Red Delicious and Gold Delicious.